Studying the shifts of vegetation phenology and the response of vegetation phenology to climate change helps to understand the dynamics of future ecosystems. However, since previous studies mostly focused on temperate ecosystems, much less is known about the biogeographic phenological shifts in sub-tropical regions, which have abundant biodiversity. The Yangtze River Basin (YRB) is located in the subtropical region of China and has abundant natural resources, a large population, and rapid economic development. Studying the variation characteristics of phenology and its responses to recent climate changes in YRB are important for understanding the impact of regional climate on subtropical ecosystems. 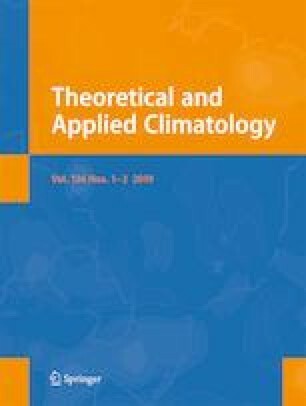 In this study, we extracted the phenological parameters using Global Inventory Modeling and Mapping Studies (GIMMS) data to investigate the spatial and temporal variations of vegetation phenology across YRB during 1982–2015 and to examine how vegetation phenology responds to climate within different ecological zones. The results revealed that the start of growing season (SOS) was significantly advanced by 0.2 days/year (p < 0.01). However, there has been no significant trend in the end of growing season (EOS) throughout the whole study area for the past 34 years. The spatial pattern of the phenology metrics showed a high spatial heterogeneity: the SOS in the central YRB was earlier than that in other regions; the EOS in the southeast YRB was later than that in any other regions. Meanwhile, the SOS had a higher correlation with temperature than with precipitation. In particular, the spring temperature had a strong impact on the SOS and the effects of winter temperatures cannot be ignored. Although there were no significant correlations between the EOS and precipitation/temperature, it is interesting to note that when examining the interactions between phonological parameters, the EOS was positively correlated with the SOS. Furthermore, the pre-season temperature had a lag effect on the SOS, but no significant lag effect was observed for the EOS in YRB. In all, the present study can enhance our understanding of phenology dynamics and its relationship with climate in YRB and provide a useful reference to put forward a corresponding ecological protection policy. We would like to thank China Meteorological Administration (CMA) for providing the meteorological data. This work was financially supported by National Natural Science Foundation of China (No.41601044, No.41571400), the Special Fund for Basic Scientific Research of Central Colleges, China University of Geosciences, Wuhan (No.CUG150631, CUGL170401, CUGCJ1704), and Opening Foundation of Key Laboratory for National Geography State Monitoring, National Administration of Surveying, Mapping and Geoinformation.